Summer kick-off has officially begun (woo!) and I thought I’d pop in with some behind-the-scenes updates. 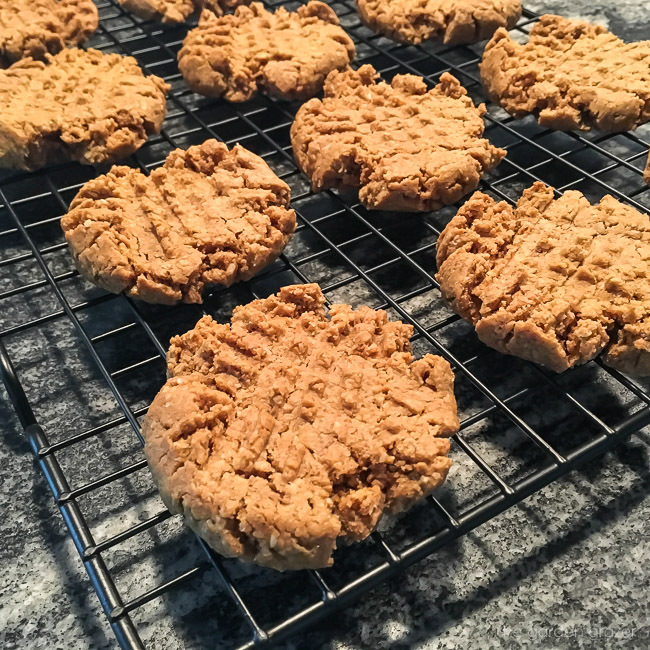 I haven’t been posting as much, but I’ve been recipe testing (and re-testing and re-testing) like crazy and excited to share some new ideas soon! 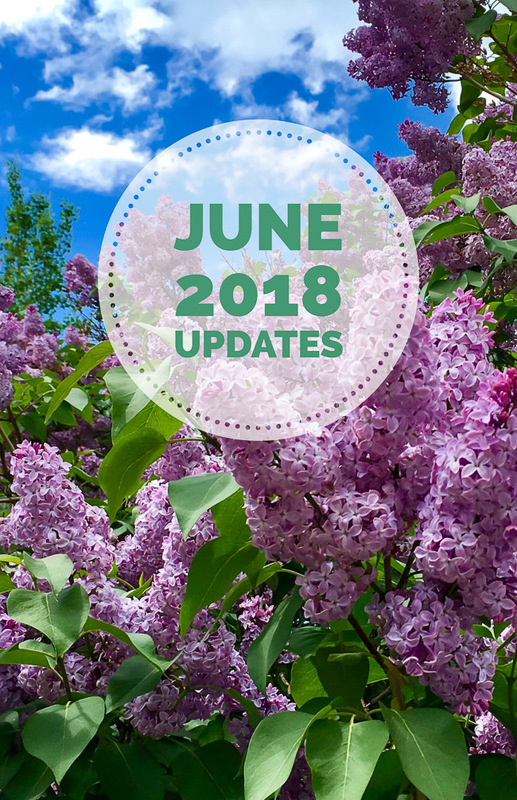 Onward to 15 things I’m loving lately! 1. Lilacs! 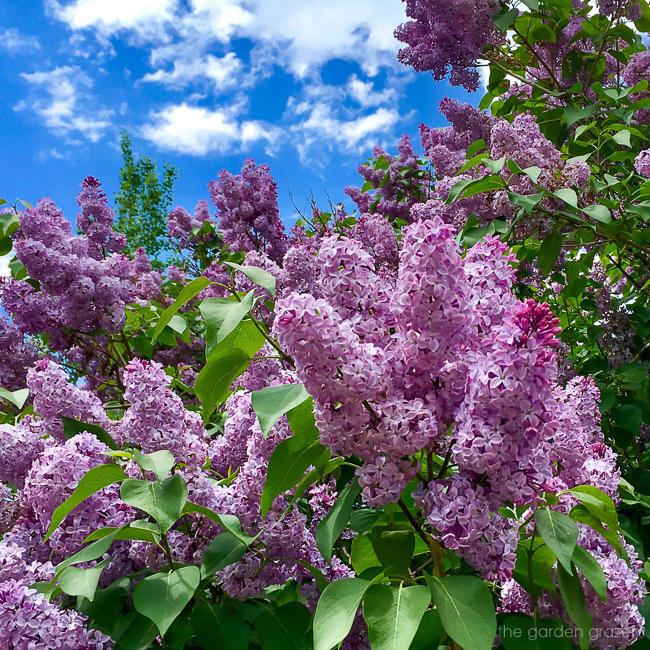 All the Lilacs. Old Faithful geyser puts on quite a show just steps from this inn, but I LOVE this building just as much. 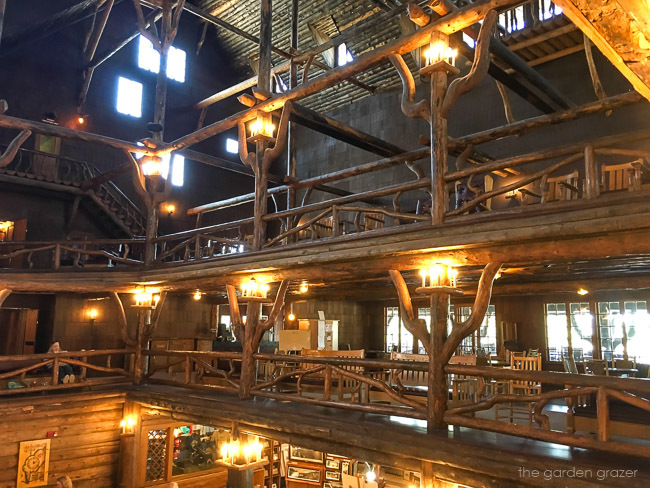 It was built in 1904 with local logs & stone and is the largest log hotel in the world. I can literally feel the 100+ years of history when I walk in this place and it takes my breath away every time. I haven’t spent the night here (yet!) but it’s most definitely on my bucket list. Anyone else ever visited the inn? You can read more about it on the Old Faithful Inn Wikipedia page, so cool! One of the most powerful books I’ve read in a while and very well written. Bryan has done (and is still doing) absolutely incredible work, challenging and urging the reform of our criminal justice system in the United States by fighting for fair & equal treatment for all. A true eye-opener and profound read – highly recommend. 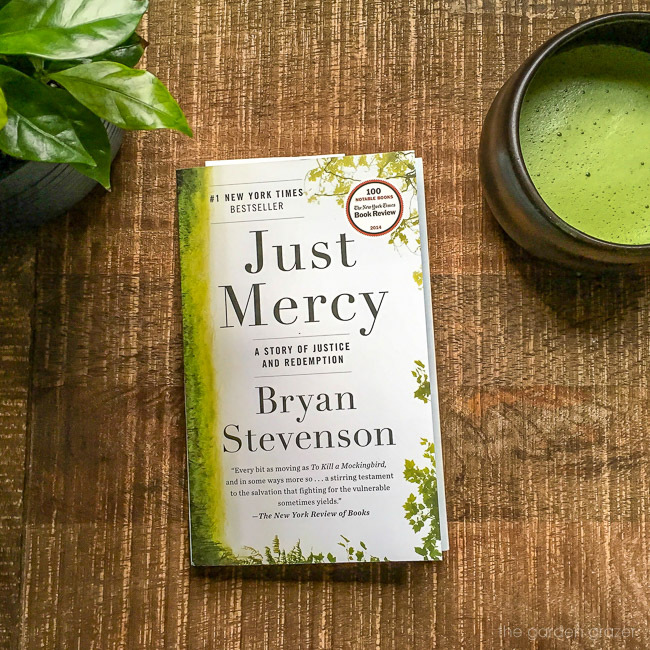 Check out “Just Mercy” on Amazon if you’re interested. 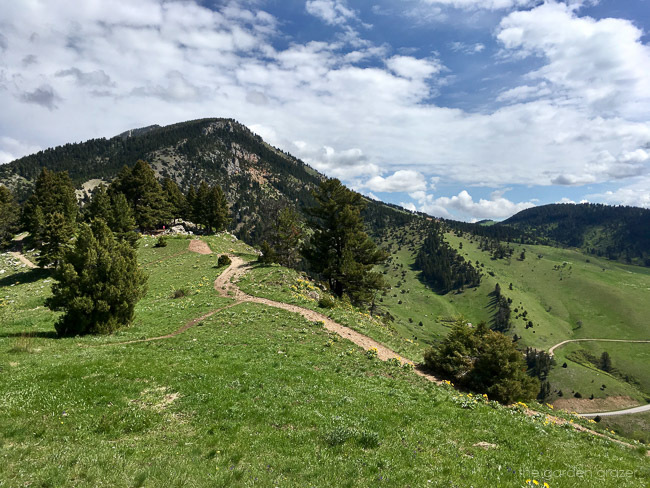 My daughter finished up her kindergarten year with a class trip to a local hiking trail here in Bozeman, Montana. 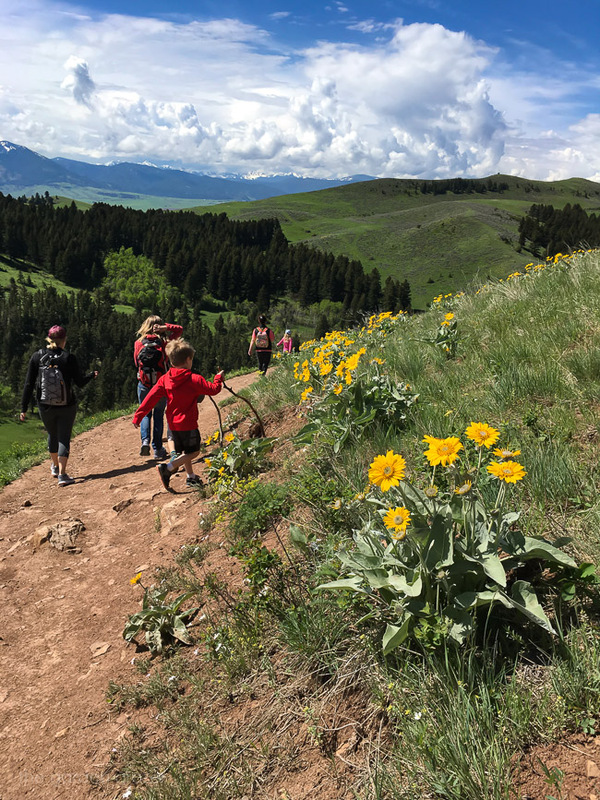 A fun day of sunshine, wildflowers, and happy kids! 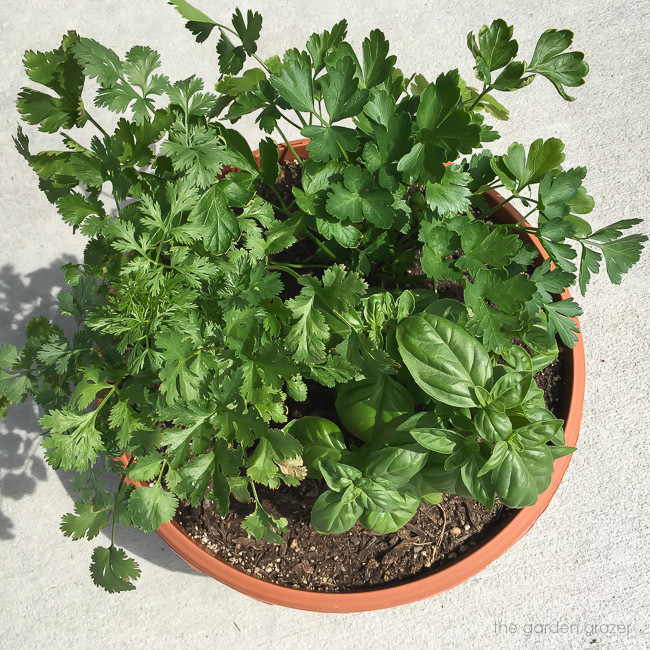 Trying my hand at a wee little herb garden out on our front porch this year with basil, cilantro, and parsley. So far so good! I love being able to just walk outside and take what I need (or sometimes just to smell the basil) as opposed to buying big bundles that I have trouble using up. Less waste, more fun! We’re in a rental place right now (read: no garden) so I’m also trying some container tomatoes and bell peppers. Fingers crossed they do well! The past few months I’ve upped my Sudoku in an effort to sharpen my brain. I’ve been trying to swap out a lot of the time I used to spend consuming things with doing things instead. 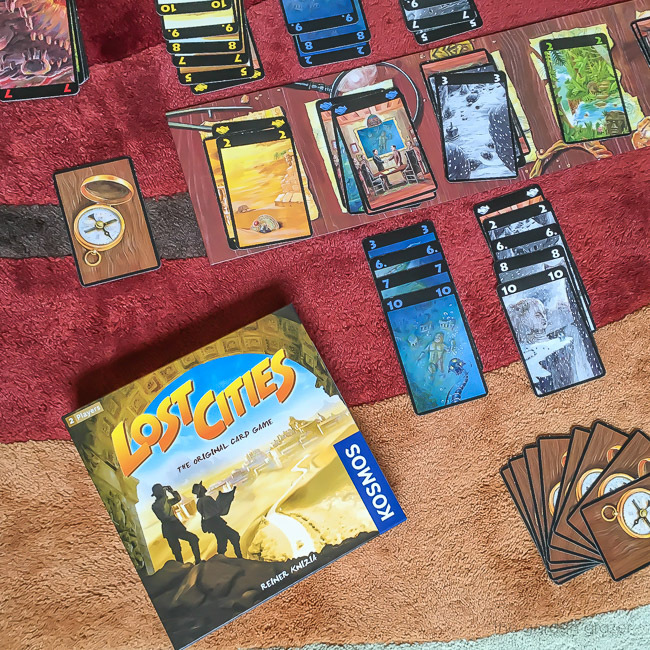 (Puzzles, learning new skills, music, etc.) Any other sudoku fiends out there? 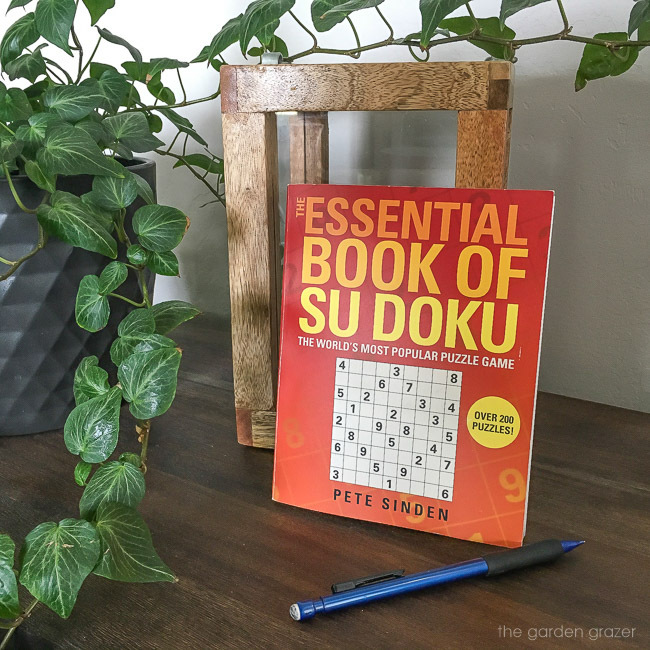 I’m almost finished with the “Essential Book of Sudoku” and I’ve got my eye on this advanced puzzle book next – hopefully my skills are up to the task! I recently came across this article and I’m pretty sure it’s the coolest thing I’ve seen in a while. Apparently the city of Asheville, NC declared the first-ever city wide vegan challenge week (complete with a proclamation signed by the mayor!) They’re raising awareness about animal justice, environmental/climate justice, and plant-based nutrition to improve health. Even restaurants and businesses are getting involved – how awesome is that?! Great & inspiring things happening in the city of Asheville, I love it. PS – check out the “City Vegan Challenge” website and see how you can encourage your own city to try it too! 🌿 Let me know if you give it a try! 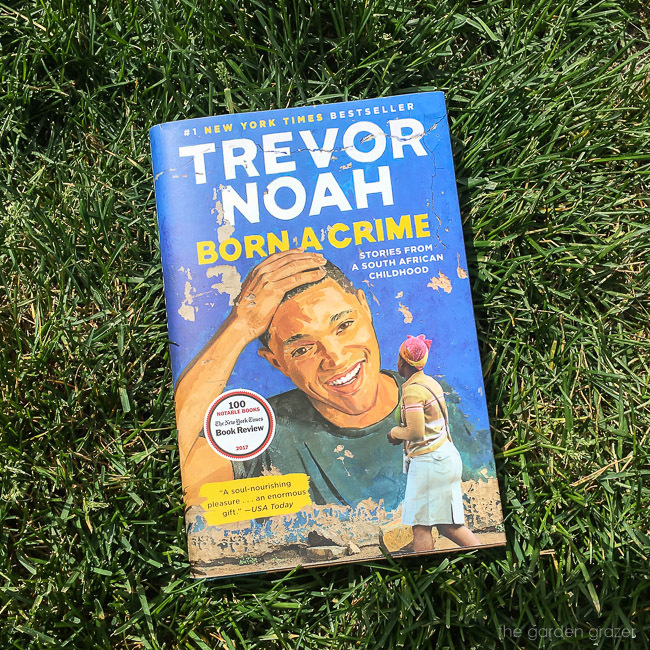 I don’t watch The Daily Show but I’ve been intrigued by Trevor’s story & background for a while and this book was a fantastic read about his experiences growing up in apartheid South Africa. 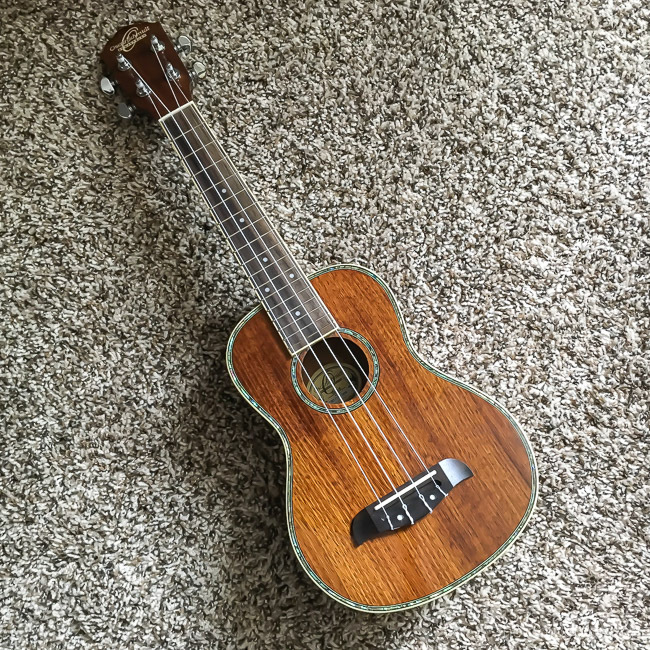 It was an awesome recommendation from someone on Instagram – I always love getting your recommendations, so keep ’em coming! Check out “Born a Crime” on Amazon if you’re interested! I’m a semi-minimalist at heart, but in the case of plants… more (most definitely) = better. 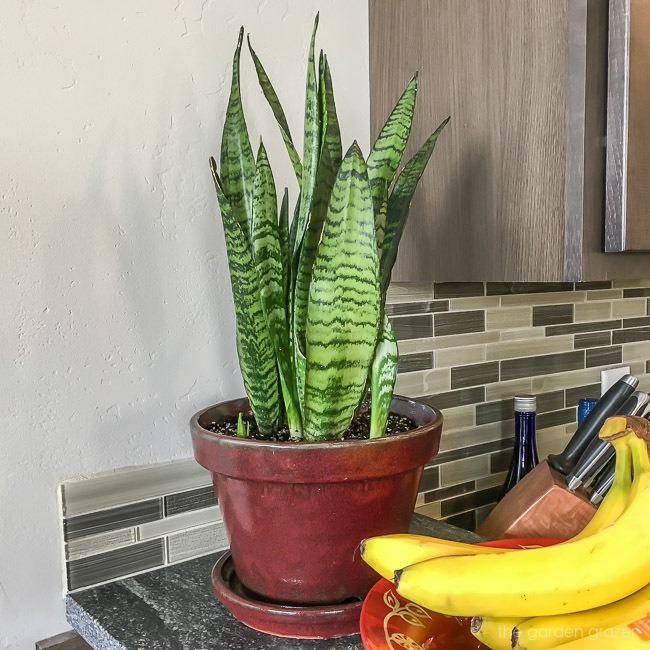 This is our newest friend (a variegated snake plant) which, as a bonus, is also on NASA’s Clean Air Study list. One plant closer to jungle-izing our home! No matter my mood, I’m pretty much always down for a rock-out jam session with Mumford. So many awesome songs… Lover of the Light & Hopeless Wanderer are still a couple of my favorites. I’ve been diving into the wonderful world of Ayurvedic medicine/lifestyle for a few months and love the incredible knowledge packed into these books. If you’re not familiar with Ayurveda (like myself until recently) it’s the world’s oldest healing system that originated in India over 5,000 years ago. The word Ayurveda literally means “the knowledge or study of life”. It addresses the root causes of our health challenges at all levels (body, mind, and spirit) and empowers us to take control of our whole-body health through natural methods. I’ve really enjoyed trying out several of the practices (like adding in more beneficial spices, seasonal eating, striving to wake up at 6am every day, giving oil pulling a try, etc!) Many of the recipes/tips in Ayurveda include dairy and some meat, but I alter the methods to stay aligned with my plant-based lifestyle. Check out Ayurveda Lifestyle Wisdom and The Ayurveda Way on Amazon if you’re interested! 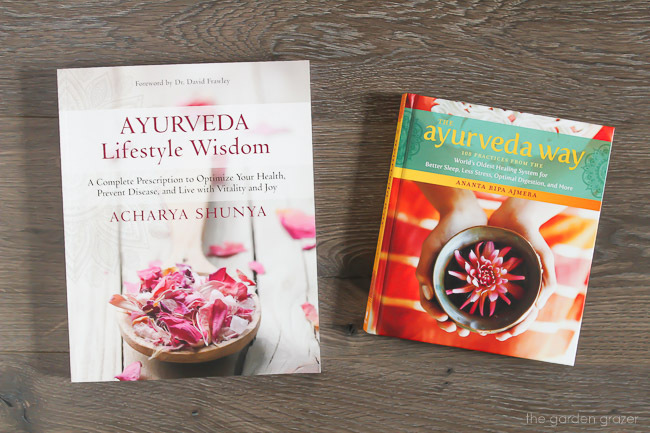 Ayurveda Lifestyle Wisdom is a bit more in-depth and full of wonderful knowledge (more textbook-like), and The Ayurveda Way is a simplified version of 108 practices you can put into use – both are absolutely lovely books I recommend! 15. 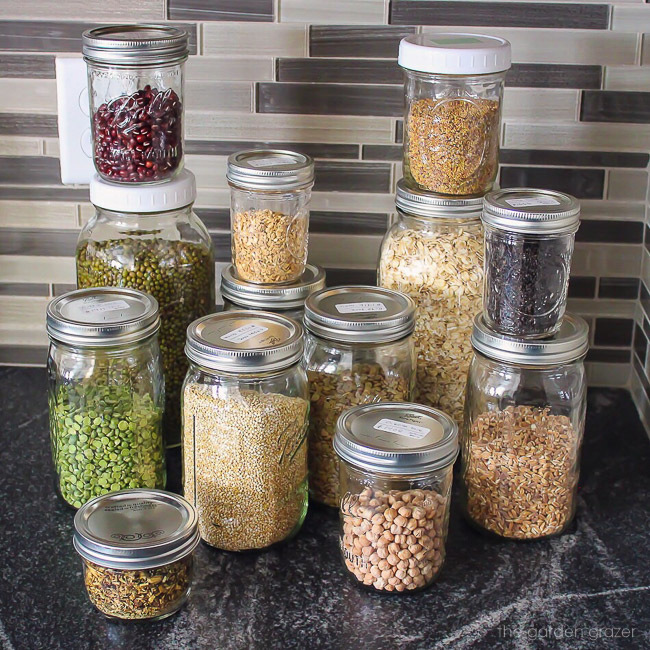 Zero Waste Journey… Continued! I’ll dedicate a future post to things I’ve implemented towards a more sustainable lifestyle (less waste, less plastic) but it’s been SO fun making these small, continual changes. 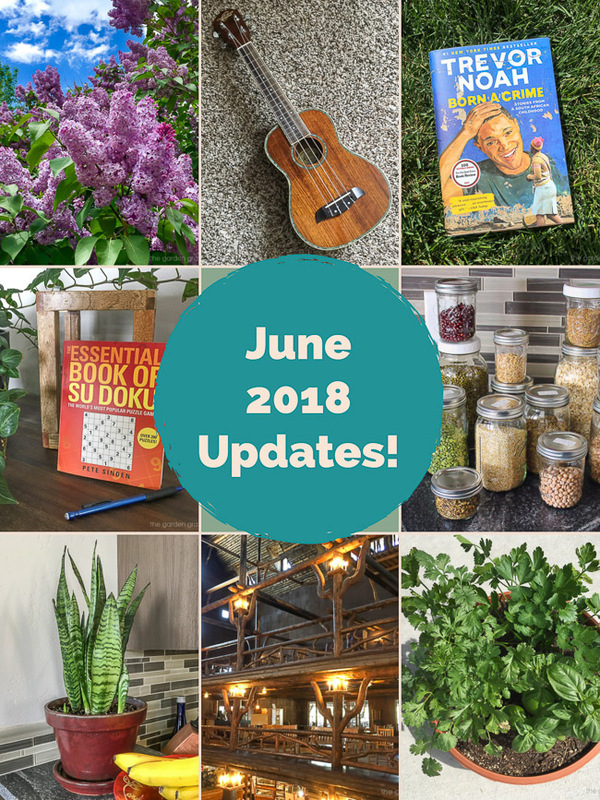 The past several months I’ve been going through our home, lifestyle, and diet to basically question everything and refine our habits to strive for the lowest ecological footprint. It’s sort of a fun game seeing what changes you can make to refuse, reduce, reuse as much as possible. I’ve been fascinated with this topic for a while, but the book “Zero Waste Home” by Bea Johnson inspired me even more to expand my efforts. That’s a wrap! What have you been loving lately? Lovely post. That photo of the lake, mountains and balsamroot (spring sunflowers) in Montana looks a lot like my neck of the woods in British Columbia. I agree, a lovely post. 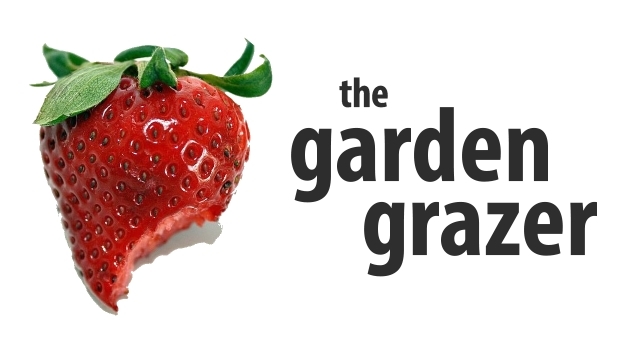 Looking forward to your new recipes and zero waste post. I'm not much of a cook but I've had great success with your recipes, which is giving me more confidence. Good food doesn't have to be complicated! Thanks for all you do and have a great summer! I really enjoyed your post! I just love your site even though I don't ever comment. I have tried many of your recipes also and they have all been good. Going to look for the books you recommended right now! Oh, and I have seen the old hotel in Yellowstone! And what a beautiful state you live in!